The 8,000 sq.ft., $2 million, complex renovation includes modifying existing mechanical, plumbing, and electrical distribution system in the ceiling space to suit the new architectural program. Existing beam penetrations were utilized for new MEP utility installations. Extensive survey was conducted to model the existing conditions for new work and identification of utility connections. The effort resulted in lower bid pricing and close bidding among a number of subcontractors. 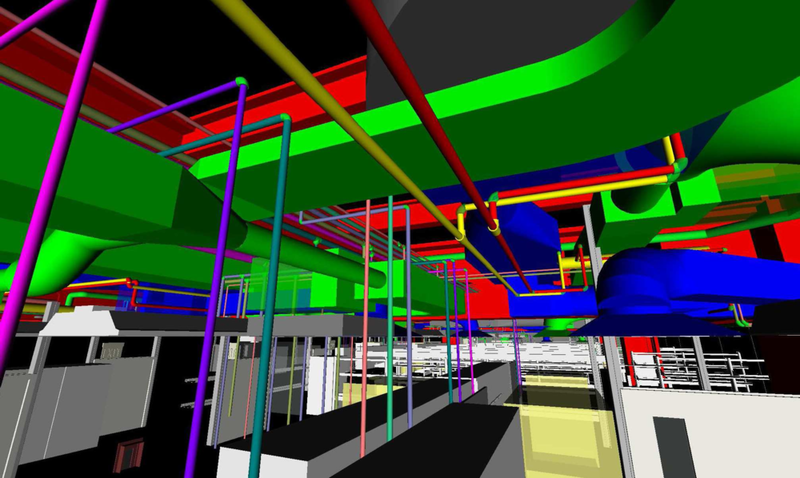 All work, including existing, was modeled in Revit for clash detection and coordination.